He eliminated them all one by one to add another seven-figure score to an already illustrious poker career, and is now the reigning PokerStars Caribbean Adventure Main Event champion. The Atlantis Resort in the Bahamas had one man stealing the spotlight today: David "Chino" Rheem. 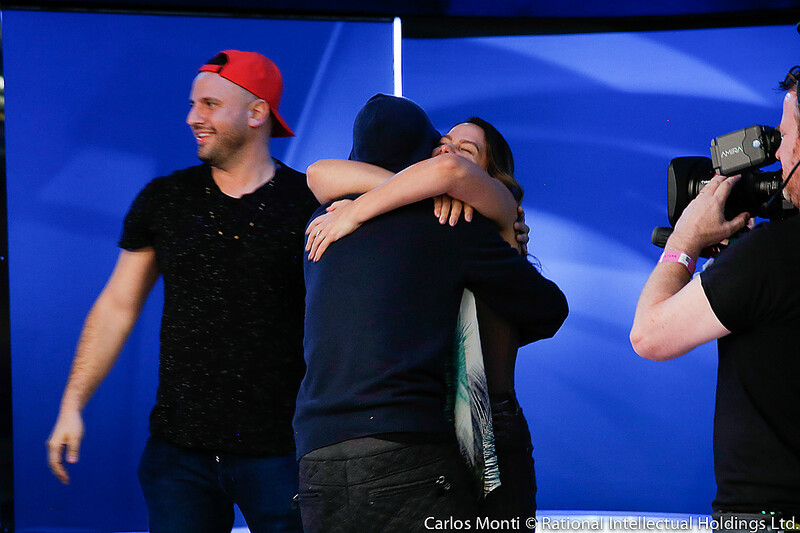 The 38-year old from Los Angeles, California conquered an 865-player strong field and scored the second biggest cash of his career collecting $1,567,100. The win also moved Rheem over the $10 million in lifetime winnings mark on Hendon Mob. Runner-up was Daniel Strelitz, who was the last player to stand up to the Rheem-onslaught. Strelitz received $951,480 for finishing second, nearly topping his WPT win from 2017. Scott Wellenbach's dream run ended in third place ($671,240). 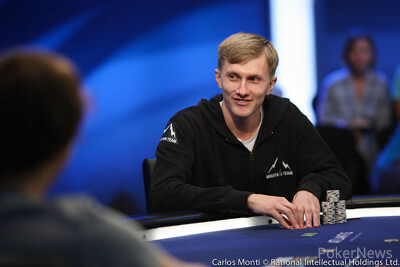 Before that, Pavel Veksler of the Ukraine finished fourth ($503,440), Vicent Bosca of Spain was fifth ($396,880) and Brian Altman finished in sixth place ($297,020). "It's an honor," was the first thing Rheem said after winning the coveted tournament. "I'm very grateful to even have the opportunity to come here and play, and I'm blessed to be able to win it." For those watching the final table, it was a treat. Each player at the table seemingly enjoyed themselves, engaging in banter. Rheem, as always, had the highest word and was perhaps the catalyst to get the others out of their shells. The American didn't want to highlight the banter too much afterwards. "Things just went my way. Nature ran its course and obviously, it was fun." Despite his checkered past, it's clear that Rheem knows his way around the poker table given his sheer endless list of poker accomplishments. But winning the PokerStars Caribbean Adventure Main Event, the fifth seven-figure ship of his career, is perhaps his most crowning achievement. However, Rheem simply had two words to share when asked what the recipe behind his success was. While Rheem was the one to claim the spotlight at the end of the day, the story of the tournament belonged to Scott Wellenbach. Wellenbach, a 67-year old Buddhist text transcriber from Halifax, Canada vouched beforehand to donate all of his winnings to charity, no matter the outcome. Wellenbach played a strong tournament throughout, but the crowd favorite saw his Cinderella story come to an end two spots short of the victory. "A real rollercoaster of emotions. Ups and downs and at the moment, I'm feeling a bit disappointed," a deflated Wellenbach said directly after busting out. "I did have some hopes for playing a little better. "It's a bit of a bittersweet moment," he added. Despite his disappointment, the Canadian was ecstatic about making nearly $700K for a good cause. "Going into the tournament, if you would've said: 'How's third place?' I would've said "unbelievably good." I'm sure in a few days, it'll sink in and I'll be happy with the outcome. At the moment though, I feel like I could've played better. Certain things didn't go my way as well. I gotta say I was extremely lucky I was getting certain cards in certain situations. So the fact that things went a little odd today, in no way balances the scale, I was very lucky, very fortunate. "The poker gods were smiling, I'm sure." 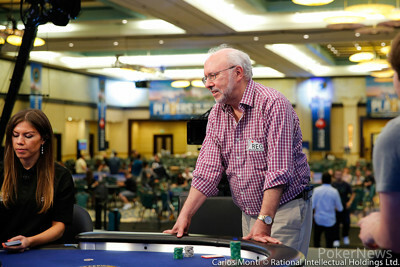 Yesterday, the first skirmishes at the final table promised a dynamic and interesting finish to the event, and the six remaining players followed up on that promise. At 1 p.m., they gathered to play down to a winner. 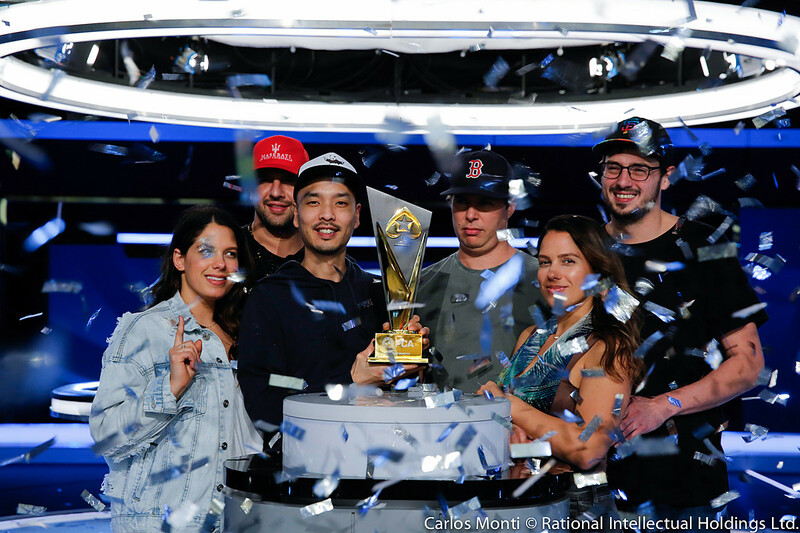 It was a feast for the neutral poker fan with raises, three-bets, the occasional shove and a lot of table banter keeping viewers entertained throughout. The six kept each other in balance for over 50 hands, with only Rheem distancing himself slightly from the pack. That all changed once Strelitz was the first player to get called after shoving. Holding pocket threes, Strelitz was up against Wellenbach's ace-jack. After the ace fell on the turn, the three came on the river to keep Strelitz' hopes alive. 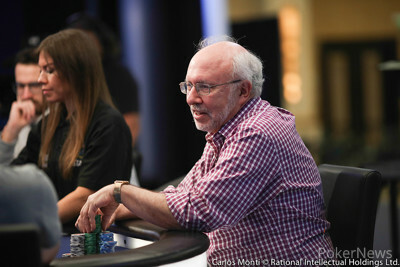 The next hand, Altman raised up ace-three of diamonds, Rheem three-bet pocket queens from the blinds and Altman moved in. Rheem snapped him off and forced the accomplished U.S. pro on a trip to the payout desk (6th - $297,020). Things settled down after the slow burst and the five once again battled it out for more than 50 hands before the next player fell. 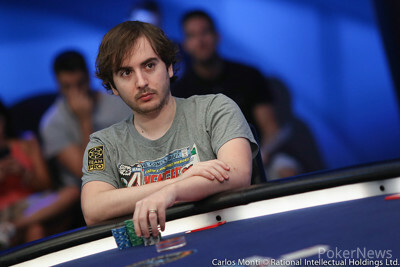 It was the high-stakes cash gamer from Xatia, Spain, Vicent Bosca, who suffered a case of the "too many outs" syndrome. Bosca had raised with ace-jack of diamonds and flopped the nut flush draw and gutshot on a queen-ten-three flop. Rheem check-raised all in with five-three and Bosca was gone in fifth ($396,880) after the board drew nothing but blanks. 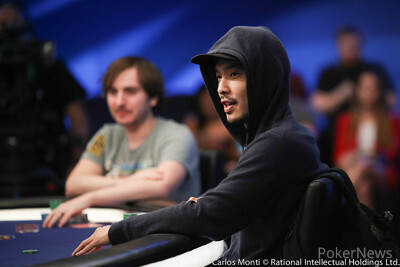 Rheem then turned on the thumbscrews and started three-betting a ton to put pressure on his remaining three opponents. In the span of just under an hour, he finished off his remaining three adversaries one by one. Veksler was the first to go after losing ace-queen against pocket sixes. Shortly after, Wellenbach followed, losing king-queen to Rheem's ace-ten. Wellenbach flopped a king, but Rheem caught a runner-runner straight to get to the heads-up. Starting the match with a 5:1 lead, Rheem finished off Strelitz after just seven hands. Strelitz open-shoved a little over twenty bigs with ace-deuce of spades, and Rheem snap-called him with pocket fives. The board ran out clean to give Rheem his fifth knockout of the day and a deserved championship. That's all for eleven days of PokerNews coverage from the PokerStars Players Championship and PokerStars Caribbean Adventure from the Atlantis Resort in the Bahama's. Until next time! Hand #191: Strelitz open-shoved 3,590,000 on the button and Chino Rheem snap-called. Strelitz was behind and would need to hit to keep his hopes alive. The flop gave him the queens to go with his outs, but the turn and river bricked out. Rheem shook Strelitz' hand, gave him a quick hug, then went to his rail to celebrate. Strelitz saw a fantastic tournament come to an end in second place, making him $951,480 richer. 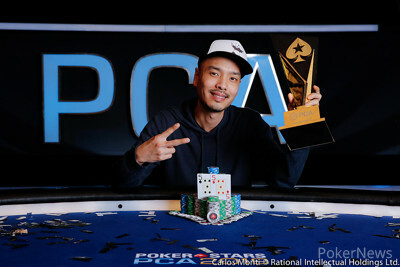 David "Chino" Rheem is the 2019 PokerStars Caribbean Adventure Main Event champion and has won $1,567,100! Hand #185: Daniel Strelitz raised to 325,000 with the and Chino Rheem called with . The flop came and Rheem check-folded to a bet worth 300,000 by Strelitz. Hand #186: Rheem opened to 350,000 with and Strelitz three-bet jammed for 5,240,000 with to win the pot right there. Hand #187: Strelitz opened to 325,000 with and Rheem defended the . The flop came and Rheem checked, Strelitz bet 300,000 and picked up a call. After the turn, Rheem checked once more and Strelitz checked back. The river brought a bet of 600,000 by Rheem and Strelitz folded right away, which maintained a 4-1 lead for Rheem three hands into heads-up play. Hand #188: Rheem had the and raised to 400,000, Strelitz called with . The flop brought and Strelitz checked his nutflushdraw. Rheem bet 600,000 and the call by Strelitz followed. After the turn, both players checked and the river was checked by Strelitz. Rheem bet 800,000 with his rivered bottom pair and Strelitz folded. Hand #189: Strelitz raised to 325,000 with and Rheem defended . The flop went check/check. Rheem bet 400,000 on the turn and Strelitz called. The on the river kept Rheem ahead and he bet 1,20,000 for value. Strelitz gave it up. Hand #190: Rheem raised to 350,000 with , Strelitz shoved and Rheem snap-folded. The flop came and Wellenbach took the lead, but Rheem picked up a double gutshot with the turn. "Ace is still good," Rheem said and spiked the on the river to hit a jack-high straight. 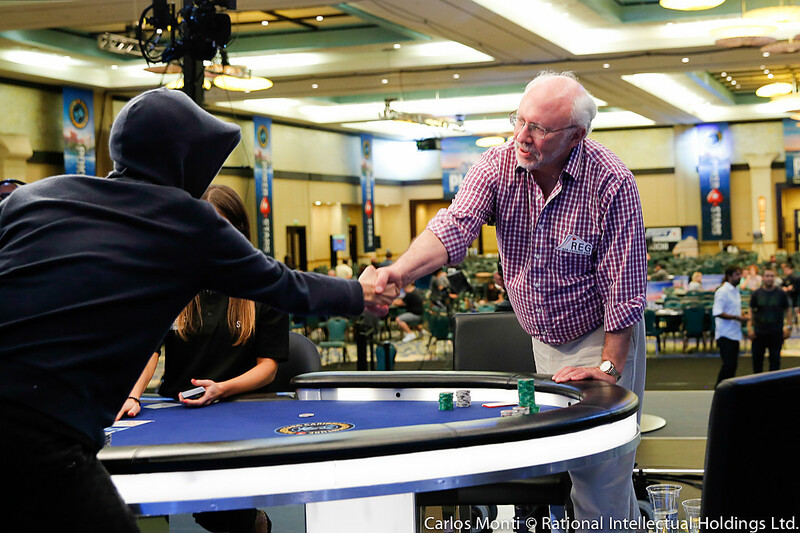 Wellenbach's Cinderella run came to an end in third place and he received $671,240. There will now be a very short break before heads-up play commences and Rheem will have a commanding lead over Daniel Strelitz. 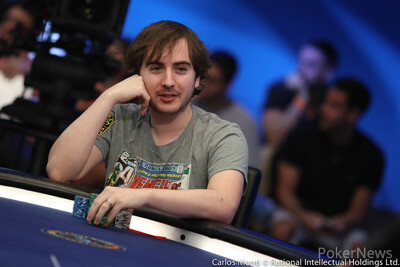 Hand #177: Daniel Strelitz raised to 320,000 with first to act. Rheem picked up on the button and three-bet to 1,300,000. Strelitz quickly folded. Hand #178: Scott Wellenbach completed the small blind with . Strelitz ripped on Wellenbach, who quickly folded. Hand #179: Rheem got a walk with . Hand #180: Strelitz raised on the button to 320,000. Rheem called from the small blind. The flop went check/check. Both players hit a flush on the turn and checked it through again. On the river, Rheem fired a pot-sized bet 800,000 and Strelitz. Strelitz wasn't liking it but called it off with the inferior flush. Hand #181: Strelitz got a walk with . Hand #182: Wellenbach raised to 400,000 on the button with , but Rheem found the in the big blind and pushed all in, forcing a quick fold from Wellenbach. Hand #183: Strelitz raised the button with and scooped the blinds and antes. Hand #176: Chino Rheem jammed the small blind and Pavel Veksler called in the big blind for 3,510,000. "You are ahead man," Veksler said and Rheem replied "good luck" before they bumped fists. 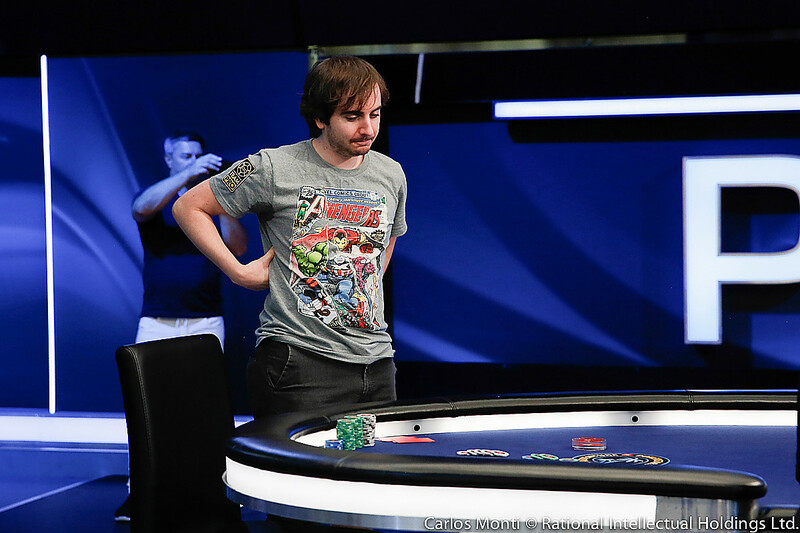 The board came and Veksler was eliminated in 4th place for $503,440. Rheem further continued his rampage throughout the day and holds more than 60% of the chips in play. Hand #172: Scott Wellenbach raised to 400,000 with the first to act and Chino Rheem three-bet to 1,000,000 with the out of the small blind, a prompt fold of Wellenbach followed and he dropped to 18 big blinds. Hand #173: Daniel Strelitz raised to 320,000 first to act, holding the , and Rheem three-bet the button to 1,400,000 with the . Strelitz four-bet shoved for 4,780,000 and Rheem let go. "I was clicking buttons," he said in table chat just before folding. Hand #174: Wellenbach opened to 640,000 in the small blind with and Strelitz forfeited his big blind. Hand #175: Wellenbach opted for a smaller size the next hand, raising to 400,000 on the button with , and claimed the blinds and antes. Hand #167: Daniel Strelitz completed and Chino Rheem checked his option with . Strelitz bet 200,000 on the flop and Rheem called. The turn went check/check. Strelitz caught the on the river and both players checked again. "You lucky dog," Rheem said. 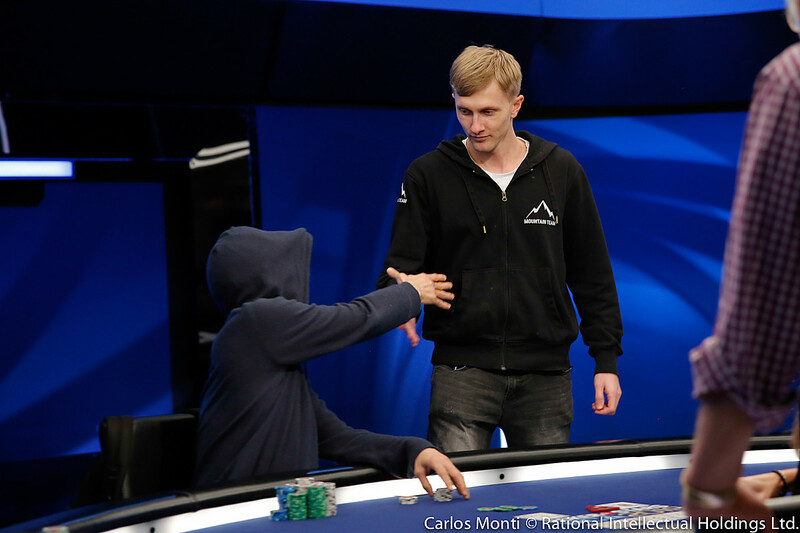 Hand #168: Strelitz raised to 320,000 on the button with and Pavel Veksler defended . The went check-check. Once again, Strelitz caught the perfect card with the on the turn. Veksler bet 530,000, Strelitz shoved all in for 3,770,000 and Veksler quickly waved the white flag. Hand #169: Veksler raised to 500,000 in the small blind with and Scott Wellenbach folded in the big blind. Hand #170: Rheem raised to 350,000 first to act and everyone quickly folded. Hand #171: Wellenbach made it 400,000 on the button with , Rheem three-bet to a cool million and Wellenbach folded. "I don't know what I had," Rheem remarked. Hand #162: Scott Wellenbach in the small blind raised to 640,000 with the and Daniel Strelitz in the big blind jammed the , Wellenbach folded and was left with 13 big blinds. Hand #163: Wellenbach jammed the button for 2,175,000 with the . Chino Rheem in the big blind asked for a count with and called. Rheem had a live suit and an overcard but didn't get there on a board of to see Wellenbach double. Hand #164: Strelitz raised on the button to 325,000 with the and Rheem in the small blind three-bet to 900,000 with . Strelitz let go and Rheem recovered some chips. Hand #165: Pavel Veksler raised the in the small blind and claimed the big blind and ante. Hand #166: Rheem opened to 350,000 first to act with the and Veksler called on the button with . The flop came and both players checked to the turn, which brought no betting action either. The river brought a fourth diamond and Rheem checked, Veksler bet 400,000 and Rheem called to pill further ahead. Who Will be Crowned the 2019 PCA Main Event Champion?